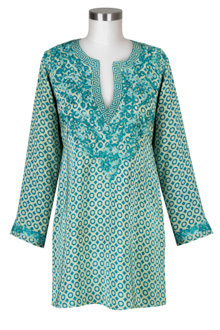 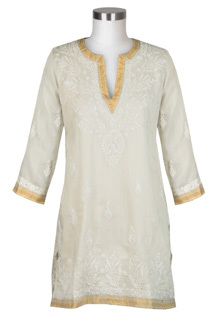 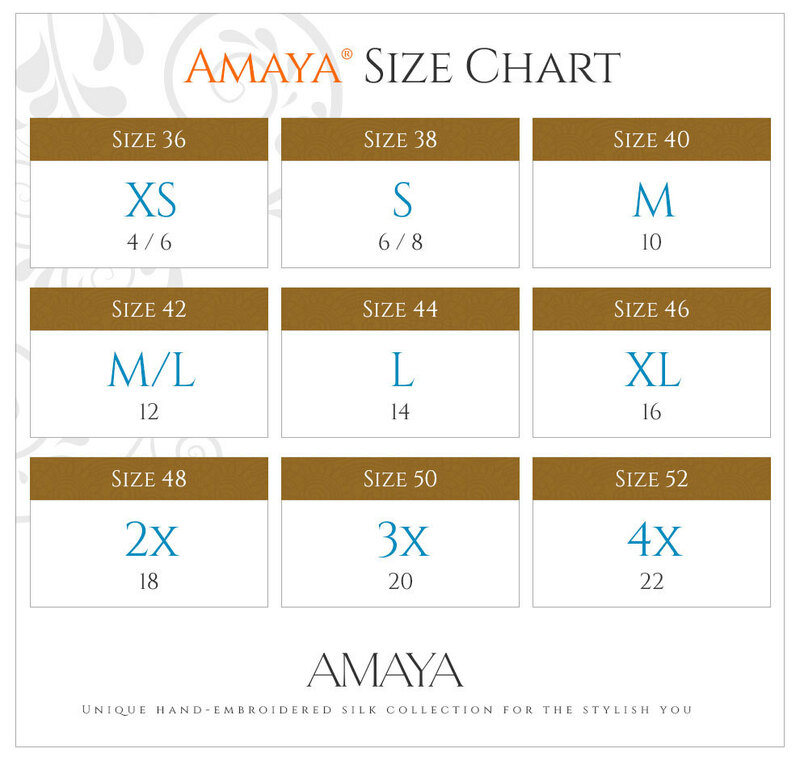 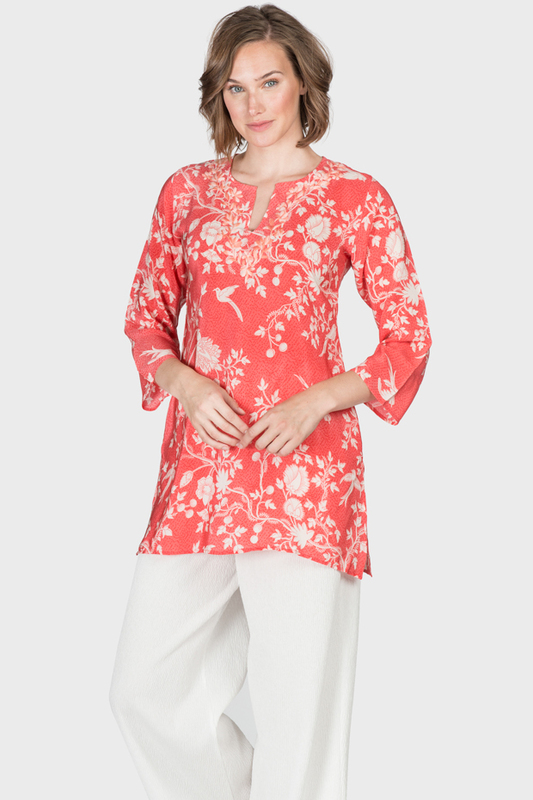 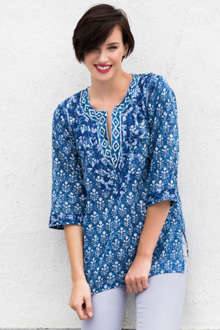 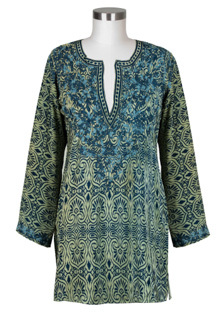 This silk tunic blends elegant style with easy comfort. 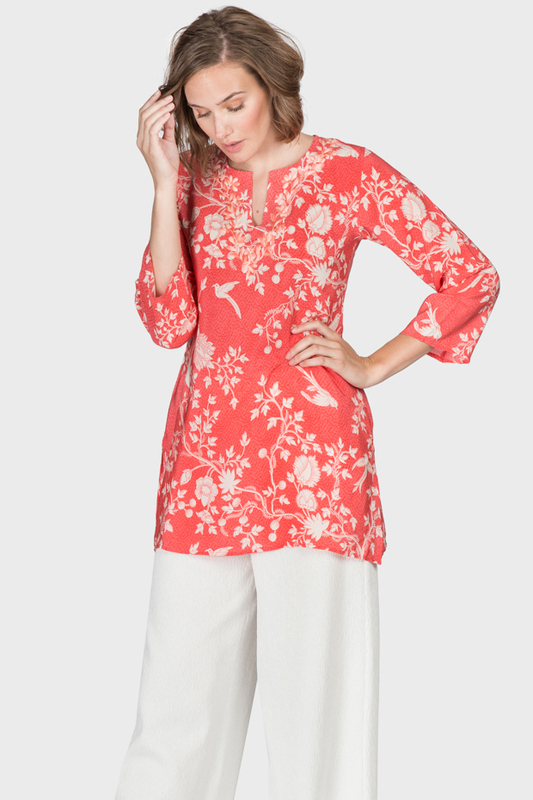 The eye-catching color adds flair to any outfit and pairs well with any type of pant. 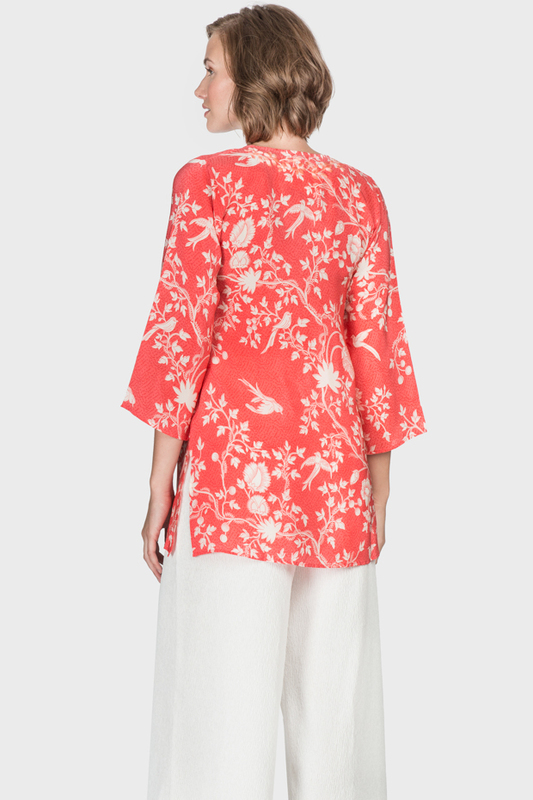 A wonderful choice for all seasons.